Who wants three hours to play games, make arts and crafts, do puzzles and hang out with friends? Children! Who wants three hours to finish holiday errands, wrap presents, or maybe enjoy some peace and quiet? Parents! The Enfield Public Library gives parents a rare chance to drop off their children for a morning of fun with library staff and teen volunteers. The Drop and Shop event goes from 9:30 to 12:30 on Saturday, December 22nd. It is for ages 5-12 only. Registration begins December 3rd and space is limited. Registration must take place in person, as permission slips are required to be filled out by a parent or legal guardian. This is a rare exception to the library’s standard policy, which requires that children under 12 be supervised by their caregivers at all times. 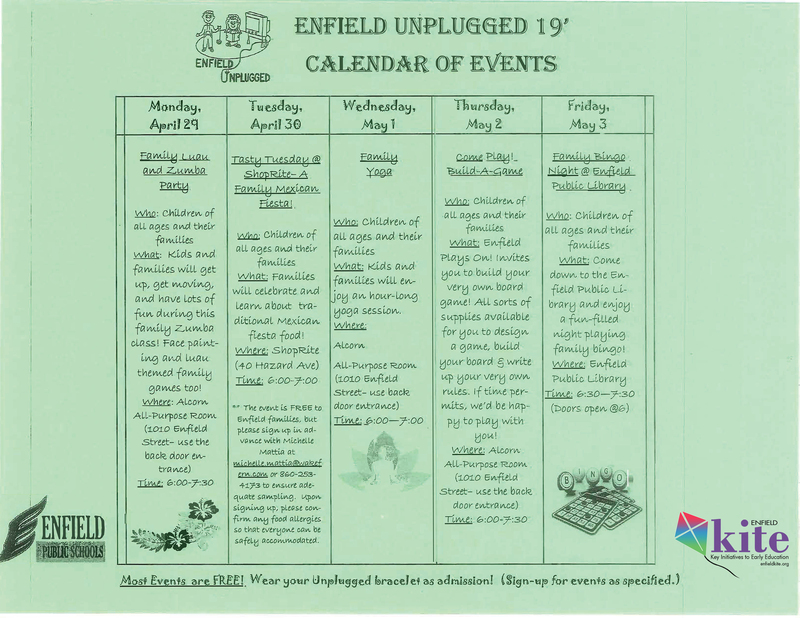 Please call the Enfield Public Library for more details at 860-763-7518 or 860-763-7512 or visit the library’s website: www.enfieldpubliclibrary.org .